Solid cutting and fabrication is a proudly owned and operated Australian business that aims to excel in the plastic fabrication industry. With experience in using a variety of materials including Acrylic (Perspex), Polycarbonate, Polypropylene, MDF, Composite Aluminium, Aluminium, PETG and HDPE to try and get the best quality finish for our customers. We use the latest German CAM (computer aided machinery) for precision cutting that’s sure to satisfy the customer. We provide fast and reliable service for cutting with laser cutting machines and our CNC flatbed router that has a 2 meter by 4meter table that is capable of working with some of the biggest sheets of materials on the market. With such a large table we are capable of reducing off cuts and minimising costs so we can pass that saving onto our customers. SCAF manufacture safety machine guards to a wide range of packaging industries in Melbourne. Our services include design manufacture and installation when it’s appropriate. We can help with whatever quarries you may have and there is no job that is too big or too small that we can’t handle. With a long list of one off productions such as decorative cake stands, doors, DJ tables and signs. When it comes to corporate jobs we have done signs for big names like Toyota and Great Wall. We want to make our customers happy that they have done business with us and receive the product they want at an affordable price and hopefully have us do some more work for them. Our purpose built factory features a showroom where you can see our products and sit down and discuss and design what you require. There is always a demand for something in Australia and we are always looking for what people need and what we can make at a cheap price but a high quality product that can last years and look great in the end. 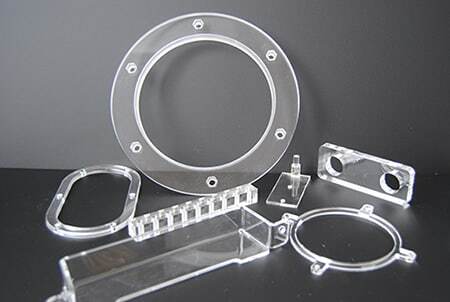 Customer design manufacturing is a major part of our business with projects of various sizes and quantities being completed over the years with satisfied customers. With years of experience in the business and superb workmanship we can make just about anything that a customer requires and to their standards. CNC routing is a major part of our manufacturing so only the best and latest routing technology is acceptable. Using DXF files of parts drawn by the customer or by us we can insure a perfect product. 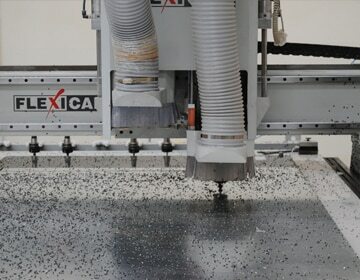 With a large table of 2 metres by 4 metres we are able to machine using any sheet size and almost any material. This also allows effective use of materials with minimum cut-offs. Using a vacuumed table we can ensure no movement from the material so that measurements are accurate and the cutting depth is correct and not varied as some materials can bend. Using the right material is key to getting the job done. There are a number of factors to be considered when choosing the right material and the best one for signage has to Plexiglass. A German made Acrylic that is strong, durable and of a high quality making signs stand out.